What can I say about this book?? I love Nightshade. I loved it so much I bough the US hardback edition. 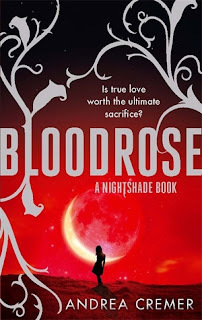 I wasn't all that impressed with wolfsbane but decided to stick with the series based on how much I loved the first book and put it down to being "a middle book in the series" book. 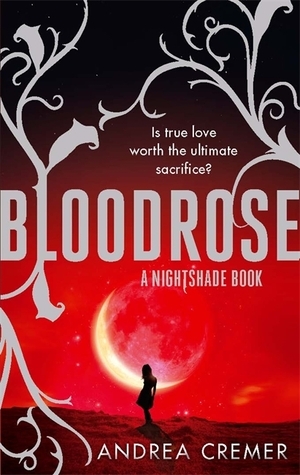 I was therefore still looking forward to bloodrose and eagerly picked it up as soon as it arrived. I've got to say I really really wasn't impressed with the final book. The story was fast paced sure but it seemed really forced. It got to the point where I wasn't really sure about what was going on - it just seemed too much at once. Couldn't we have some of that action in book two? I hated the way things turned out with the love triangle. I won't say too much but actually that way it turned out killed me a little bit inside. There was a lot looking at the history and background to the pack in the last two books. I actually found this really dull and actually got to the point where I didn't care (and this is me talking as a History Graduate). I just felt like the author was trying to be too clever - I can see why she would have had those ideas in her head whilst writing but I felt including all the details just slowed the story and made it dull. The ending really annoyed me and I felt made the entire trilogy pointless... All in all I really wasn't a fan which is a shame because I loved the first book. I really loved all of the history stuff and was very shocked by the ending of the triangle-was not expecting that. I also didn't really like the ending; I kind of read it ahead of time and was so confused but the middle pages didn't make it any better.